One of the most important steps in the research process is communicating findings to colleagues. However, as anyone who has submitted research to a journal knows, getting your research published in a reputable journal can be a confusing, lengthy, and frustrating process. At this year’s meeting of the Western Psychological Association in Irvine, California, Nancy Eisenberg and Steven West, both of Arizona State University, delivered an invited presentation on publishing from the editors’ perspective. In addition to having published hundreds of articles, each has been on the editorial boards of numerous journals. Eisenberg is currently the editor of Psychological Bulletin and West is the editor of Psychological Methods. They outlined what is expected of empirical and review papers, gave an overview of the editorial process, and provided valuable advice on what to do with that dreaded “revise/resubmit” decision. What is Expected of an Empirical Paper? Editors are looking for well-organized, logical papers. Authors should be critical of all perspectives, including their own, and fairly represent alternative explanations. The scope of the literature review will depend on the journal; some journals require multi-page theoretical development while others require brevity. Empirical papers are often rejected because of serious problems in the methods or data analyses, which are not as easily fixed as problems in the introduction or discussion sections. Methods must be accurate and manageable and you must match the complexity of your analyses with your research question and methodology. What is Expected of a Review Paper? A good review paper is more than a summary of existing literature. A good review must draw new conclusions, ask new questions, or identify new directions based on existing literature. Eisenberg noted that reviews differ from book chapters in that a typical book chapter brings material together, but does not push the field forward. Methods by which reviews advance the field include looking at a new mediation variable in a meta-analysis, presenting a new conceptual model to explain existing data, comparing or integrating existing conceptual models, or demonstrating how the existing literature supports a new theoretical perspective. It is important for the review to present all literature and perspectives clearly and fairly. Reviews are expected to write as critically-minded scientists, not as advocates for a specific position. The first rule in choosing a journal is to know the journal. As many as 10 percent of the submissions a journal receives are from authors who have never seen the journal. You should be familiar with the types of articles the journal typically publishes. Pay attention to the methodology as well as the content area; a lack of qualitative research may reflect the editor’s preference for quantitative research. Be sure to look at the journal’s mission statement before dismissing the journal, especially if you are submitting unusual research. It may be that your research fits the mission statement and is exactly what the editor seeks, but is not represented in the journal because it is rarely submitted. If you are uncertain whether your research is appropriate for a particular journal – ask. Send an email to the editor describing your research in a couple paragraphs and ask whether it may be of interest. The editor may work directly with your paper or may delegate it to an associate editor. The preferences and specialization of your associate editor may affect the evaluation of your research. You can express a preference for a specific associate editor when you submit your manuscript. If you are unfamiliar with an editor, ask colleagues about their experiences with that editor. In general, new editors and editorial boards are more conservative. It may be to your advantage to direct your work to more experienced editors. The associate editor will choose 3-4 reviewers to evaluate your work. Most editors choose reviewers who represent a variety of perspectives on the content area. You can assist the editor by suggesting well-known and respected researchers who are familiar with the content and methods. 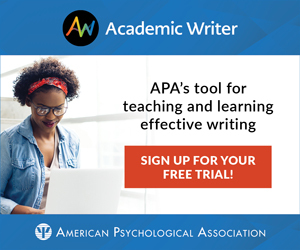 Some editors will appreciate this assistance and you may have an opportunity to direct your work to reviewers you believe will be favorable and fair. The reviewers return their evaluations and recommendations to the associate editor, who makes the final decision regarding your paper. Editors generally follow the recommendations of the reviewers – but they may occasionally deviate from the reviewers’ opinions. It is extremely rare for a paper to be accepted with no revisions. West noted that during his tenure as the editor of Psychological Methods, no articles have been unconditionally accepted. Slightly less rare is an acceptance that is contingent upon suggested revisions. West estimated that only 5 percent of the articles in Psychological Methods have been conditionally accepted on the first submission. It is much more likely that you will be advised to revise and resubmit your paper. Such decisions accounted for 25 percent of the manuscripts submitted to Psychological Methods (for their first review). Although many authors are discouraged by “revise and resubmit” decisions, the presenters stressed that you should be heartened by such feedback. West noted that this decision indicates that the editor likes your work, believes that you can fix the paper’s problems, and hopes that you will. He added that if you do resubmit, you have a good chance of having your paper accepted. Eighty percent of the articles resubmitted to his journal are eventually published. Eisenberg conservatively estimates that you have at a least a 50 percent chance of eventually getting published if you have been advised to revise and resubmit. In this light, a “revise and resubmit” decision should be viewed as good news – if you can possibly address even some of the reviewers objections, you should certainly consider resubmitting before submitting to another journal or consigning your manuscript to a file drawer. According to West, women and minorities have been found to have disproportionately low rates of publication. However, further investigation found women and minorities received the same initial rates of acceptances, revise/resubmits, and rejections as everyone else, but were less likely to resubmit revised papers. Do not underestimate the importance of persistence. Initial acceptances are so rare that you should expect to revise your submission. When you resubmit, include a detailed cover letter explaining how you responded to each of the reviewers’ comments. Eisenberg’s own resubmission cover letters are typically between four and seven pages long. Try your best to address the concerns of all the reviewers. Be flexible about making changes that don’t significantly alter the thrust of your paper. Although it may not feel like it at the time, the suggested changes generally do improve your paper. Reviewers want to be taken seriously and may be offended if they receive a resubmission that ignores their feedback. If you choose not to make a specific revision you should acknowledge and support this decision in the cover letter. In this way, you can respectfully disagree with the reviewer and plead your case. The reviewer may not be convinced, but at least you will avoid a bruised ego. Unless you had a particularly hostile and unreasonable reviewer, resist the urge to ask for new reviewers. New reviewers are likely to bring up new issues that must be addressed. Generally, the only times you should consider submitting to another journal are when your paper has been rejected without an invitation to resubmit and when the revisions the reviewers want are not feasible. You generally should not switch journals after being advised to revise and resubmit because, as noted previously, you have a good chance of eventually being published in your first-choice journal. Changing journals means that you will have to begin the process all over again. When you send your article to a new journal you do not need to tell them that it has already been submitted and rejected from another journal. However, you should not simply submit your paper without making any changes. Your paper may be sent to the same reviewers as the first time it was reviewed. If you have not incorporated any of the reviewers’ feedback, they are unlikely to give you a favorable review. So, when you choose to submit to a new journal you should expect it to be as much work as revising and resubmitting to the same journal. VICTORIA C. ROMERO is a graduate student at Claremont Graduate University. Her research interests include attention and perceptual development in infancy.